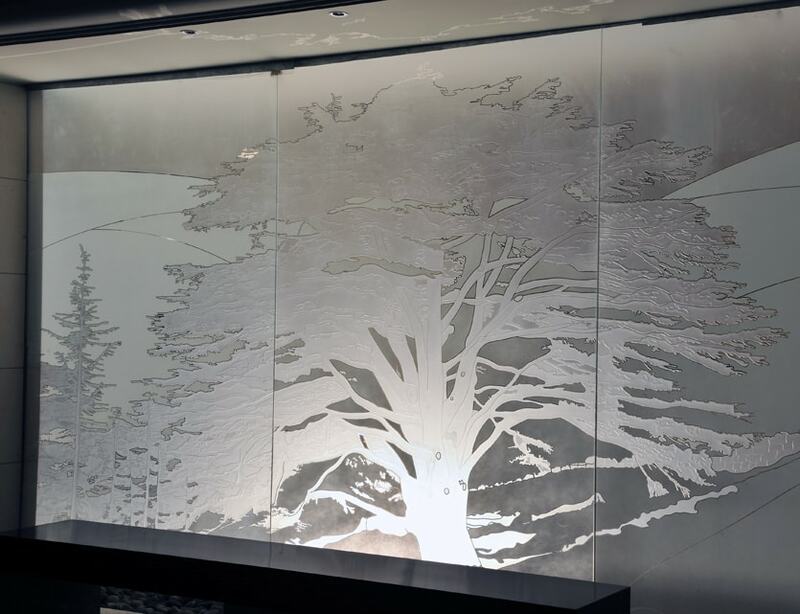 Glass etching and engraving is an abrasive treatment in selected areas of a glass surface to create opacity and texture of a desired effect. Glass engraving is an art form used to carve even the most intricate design details into a glass panel. This technique is very popular for table tops, partitions, doors, and consoles.